They know there is a great deal of passion around this topic and many others in the profession. NAVTA’s goal is to create a platform for people to connect, engage, learn and grow. If you would like to bring a session forward for us to discuss, please reach out to us at The Bridge Club. Finally, while they provided these videos with out an access code, please know this is not their regular practice, in fact these will be the only videos, that they will be providing outside their membership this year. Bills are going to be heard this spring in the States of Indiana, Georgia and Ohio to change the name to Veterinary Nurse. The bills did not pass in the first session in Ohio, nor in TN, in 2018. 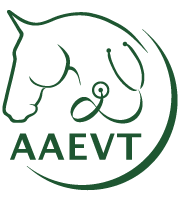 2/5/2019: The VNI Initiative to change just the name to Veterinary Nurse was defeated in Indiana yesterday.